There is nothing quite like the feeling when you are able to get behind the wheel of a luxury vehicle. However, being able to call that luxury vehicle your very own is something that is even better. When you shop at Carson Cars, you have a chance at getting in on some of the best used Lexus cars for sale in Seattle. All you have to do is stop by and talk about your wants and needs and you can start to check out the selection available on the lot. A Lexus is truly the type of vehicle that you simply have to experience in order to understand the beauty of it. Whether you have always enjoyed owning a luxury vehicle or this will be your first one, you are going to be able to take advantage of all of the right pricing and quality that you could ever expect from a dealership. This is due to the fact that Carson Cars is always looking to please our clientele, which means making each step of the buying process easier than ever. From the very moment that you drive onto the lot at Carson Cars, you will be greeted by one of the professional sales team members. Our staff will be happy to show you each Lexus that we have in inventory, then sit you down with the finance team to get you started on all of the paperwork. 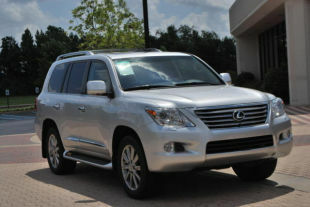 If you want only the best used Lexus cars for sale in Seattle, visit Carson Cars. For luxury vehicles and auto financing options, call (855)583-9356 today! The end result will be you driving away happy the proud owner of a new to you Lexus.